Published on 8 April 2014. My new workplace is an old school. 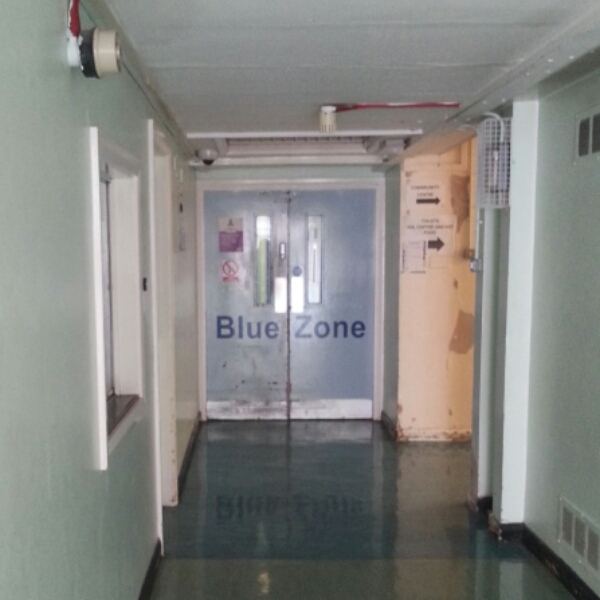 I work in the “blue zone”. My desk is in the “rec room”, next door to the science lab. Maybe one day, I’ll cook my lunch over a bunsen burner! This 2,201st post was filed under: Photo-a-day 2014, Scrapbook.